Access Control systems solves a number of issues for modern corporate organizations or enterprises of any size and function. It is an effective tool to ensure security in buildings and industrial areas. Our access control systems deliver security solutions by providing restricted access to certain zones and preventing unwanted incidents. Sophisticated control systems will let you provide safe environment for employees and visitors and at the same time control working hours and support discipline. Before installing your specific access system, we clarify your needs and design a general interconnection scheme. It is our approach to let our customer understand how the system operates so training is always included. Below you can see several of access control systems we offer. Projects we cover are diverse and complexity is something we deal with every day. Therefore, we always have more options to choose from if you give us a call and tell about your case. Biometrical access control systems is the best solution when you need real authenticity and utmost protection. In areas where you need to minimize risks for your property and people, we advise advanced and sophisticated biometrics technology. 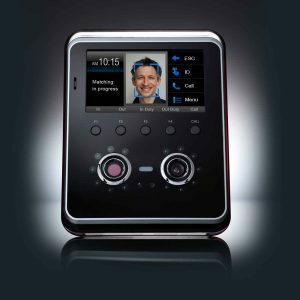 Personalized access control can be based on a fingerprint or voice scanner, iris or facial identification. Some companies use traditional identification cards or keypad codes along with fingerprint identification provided by the same control system. Clicking the link below you will find our current offer of biometric access control system. The expertise and experience of our professional installers can help you build your own system based on your specific requirements and advise on advantages of each method of identification. Card access control systems are common, simple and cost-effective. 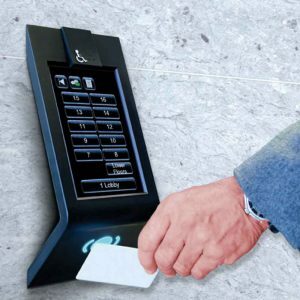 Nevertheless, these comprehensive security solutions are usually packed with useful features: maximum door control, remote connectivity, detailed records and reports, cardholder photo option, video integration, cardholder group management. Most of card control systems are PoE powered and can be integrated with existing security network. These systems are small and easily installed, sometimes with keypad additional option for layered extra security. It is simple to maintain the system, manage cardholder lists adding or removing users for access. We take orders for any number of controlled doors for restricted access and guarantee top-quality installation. Here we have chosen two card access control systems for your consideration, but we always have more to offer to our customers.